As fast as summer has come and gone, winter will be here before you know it! There is simply nothing more relaxing than the glow of warm embers burning in a fireplace. It adds ambiance to a room that is insurmountable and adds heat to your home that is unmistakable. But, what happens if you’re home doesn’t have a traditional fireplace, chimney or working flue system? As the winter approaches, don’t be discouraged if your home isn’t equipped for a fire. Ed’s Woodshed has a variety of non-chimney related heat sources, such as electric fireplaces, that will have your home ready for the cool weather in no time! Open hearth fireplaces are the traditional version we envision when we think of a fireplace. They’re reminiscent of a classic “There’s no place like home” holiday card, where real wood slowly burns, and smoke billows up through a brick chimney into the cold winter sky. There is something so simple, yet so soothing and mesmerizing about a fire, that many who enjoy outdoor firepits wish they could bring the feeling indoors. However, in some circumstances, your chimney flue might not be in working condition or your home may not include a traditional open-hearth fireplace at all. Luckily there are an array of options available to choose from. If you have a house with a wood burning or gas fireplace/chimney that once worked, before you explore other options, it’s worth scheduling a chimney flue inspection to see if you can use it again. At this time, you can determine if there are minor (yet very important) fixes to be made, like cleaning the flue or fixing a damaged damper, or a more major fix like installing a new flue liner altogether. While installing a new flue liner can seem costly to some homeowners, this fix can save you money in the long run and provide many, many years of a enjoyment. If you intend on selling your house down the line, buyers love homes with working fireplaces! No chimney? No problem! Wood or gas stoves are an economical solution for a home without a chimney. To achieve this result, you can get a stainless-steel, twin wall flue system installed at a reasonable price. The flue pipe can rise out of your home, or through an exterior wall. Either way is a safe alternative to a full-fledged chimney. Some folks like the exposed steel flue, while other do not. If you’d prefer it hidden, you can cover this up with a false chimney breast. Another convenient option is a flueless gas system. 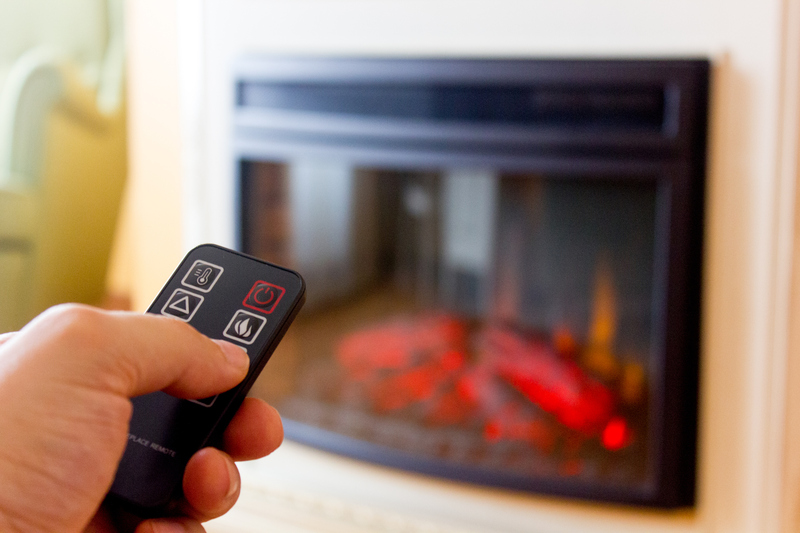 If you have a gas connection and an air-vent, a flueless gas fireplace can be installed in no time. There is a minimum room size required when installing a flueless gas fireplace, so be sure to consider your measurements before investing too much time and research. If you have no chimney or gas connection, once again, you can still have a fireplace! Electric fireplaces are a more modern approach to the traditional open-hearth and can be virtually installed anywhere as long as you have a plug. There are a lot of styles to choose from and most can be controlled with a remote. This option does not require an air vent either, so you can compare this to any “plug and play” situation. Peruse the many fireplaces, stove, and inserts we have at Ed’s Woodshed. We will help you choose the best option for your home and budget! Call us Ed’s Woodshed at 412-257-0492!